THE HARPS GAA: Following the second AGM held on Sunday, January 13th the following committee was elected to manage the adult section as follows: President: Jimmy Fogarty, Chairman: Joe Deegan, Vice-Chairman: Brian Farrell, Secretary: Anne Comerford (087) 9430966, Assistant Secretary: Claire Delahunty, Treasurer: John Scanlon, Assistant Treasurer: Enda Whelan, PRO: Shane Brophy (087) 2034035, County Board Delegate: Tommy Walsh, Coaching Officer: Conor Murphy, Children’s Officer: Niamh Clancy, Healthy Club Officer: Peter Walsh, Cultural Officer: Donal Deegan. The Committee members are: Albert Townsend, Barney O’Connor, Conor Dunne, Dan Deegan, David Finnegan, Enda Murphy, Imelda Galvin, Justin Brophy, Martin Deegan, Martin Fitzpatrick, Noel Delaney, Noel Kirby, Pat Barnaville, Richie Comerford, Ross Young, Seamus Campion, Sean Conroy, Tommy Moore, Padraig Delaney, Ciaran Comerford, Daniel Comerford. 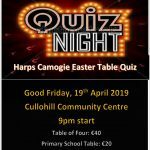 County Board Draw Tickets: The Harps GAA Club appeal to everyone to support the Annual County Board Draw which is a massive fundraiser for the Club. Tickets are currently on sale from all committee members and adult players until February 26th. Why not buy one in conjunction with a friend? 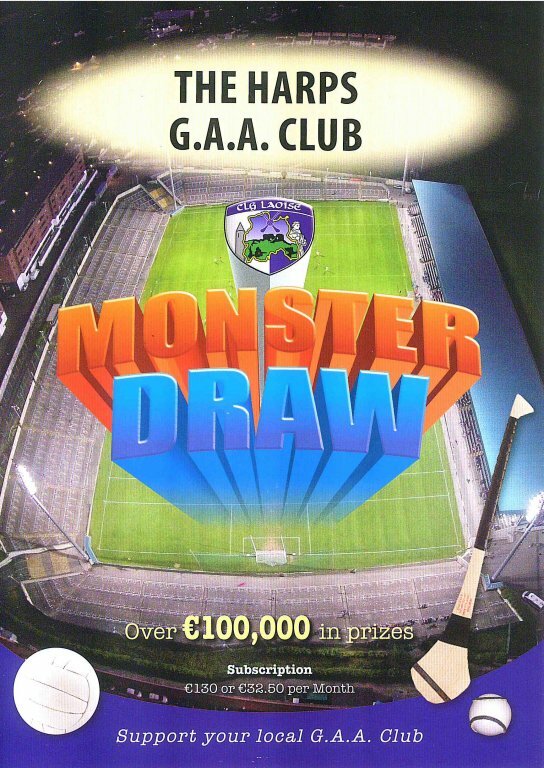 There are lots of prizes to be won with a massive €10,000 top prize in each of the four monthly draws.